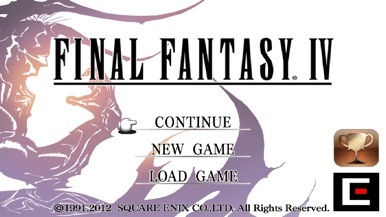 "FINAL FANTASY IV" has finally come to the iPhone/iPod touch/iPad! This iconic title is packed with other amazing features. Key events unfold with spoken dialogue. Characters go through visibly apparent emotional changes. 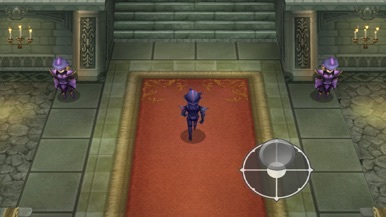 Players start with a completely blank dungeons map, adding an element of the unknown to the mix! 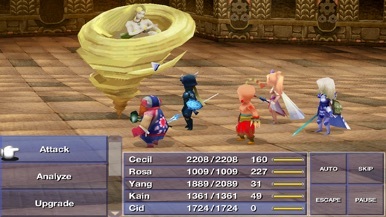 Players can listen to the game's music anytime they want. 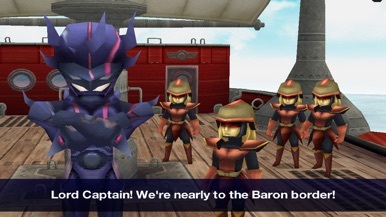 Stripped of his command after questioning the king, the dark knight Cecil, captain of the Red Wings airship brigade, is dispatched to the distant Valley of Mist together with Kain, his sworn comrade and commander of the Dragoons. 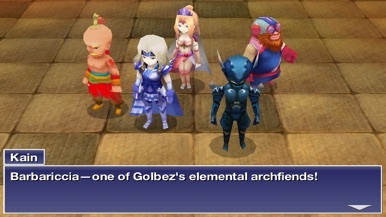 And so begins the epic never-before-told tale of the legendary Crystals. - Brand new 3D graphics, including backgrounds, and revamped events. - Game difficulty has been adjusted for improved playability. - Game Center support and plenty of achievements to be earned.